This tree is found in the montane rainforests of South America and is classified as a near threatened species by the IUCN. Trees can reach over 60 ft. high with linear-lanceolate shaped evergreen leaves arranged spirally around dark brown bark. Like all of its subgenus, the cone does not have bracts, and the seed has an apical ridge, as do its cousins in the other subgenus. The genus translates to “foot fruit” in greek. This is because at maturity, the scales are round and look like a fleshy berry which are eaten by birds to be dispersed in the forest. The species comes from one of the oldest genus of trees on Earth (along with Ginkgo), having been endemic to the continent of Gondwana. 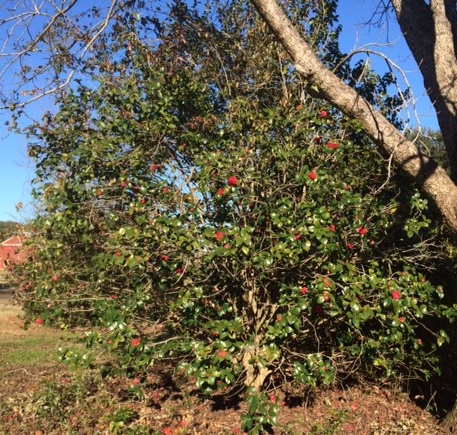 This native tree grows in coastal landscapes on the East Coast. It needs fire to regenerate, which is one reason why it’s historical range has shrunk significantly as a result of fire suppression. It is special for creating important habitat for threatened and endangered species like gopher tortoise and the red cockaded woodpecker. 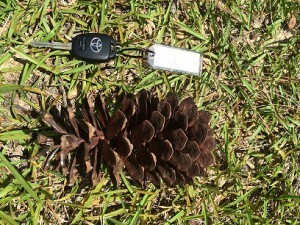 It’s known for its long needles (up to 18 inches) and large cones (up to 10 inches). It can live for well over 100 years. 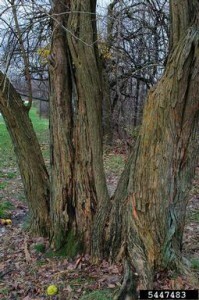 This tree is not usually thought of as an ornamental, although it’s bark has an interesting interwoven texture with a bright red-orange hue. It’s form is almost always non-linear which makes one wonder how Native Americans made bows from it. 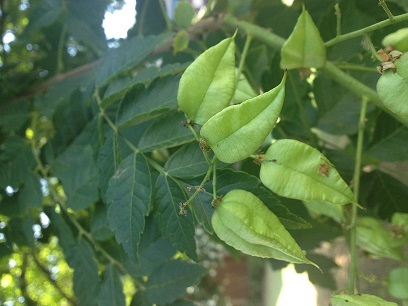 It is dioecious and produces softball sized green-yellow fruits that have a strong citrus smell. Some say that if you cut the fruit in half and place it at the corners of the house, it might repel insects. The tree was a favorite of Thomas Jefferson and Lewis and Clark distributed it across the West; thereafter, it was important in fencing the Western landscape because of its durable wood. The tree is naturalized throughout the United States. What is it? This tree is a native of Asia and is an invasive species in some states. It is a small to medium sized tree with yellow flowers and bladder-like pods that start green, then ripen to orange in the fall. They contain small black seeds. What is this tree? This is not an invasive species, although it originates from East Asia where it is known as “tea flower” and several species are used in the cultivation of tea leaves for beverage. 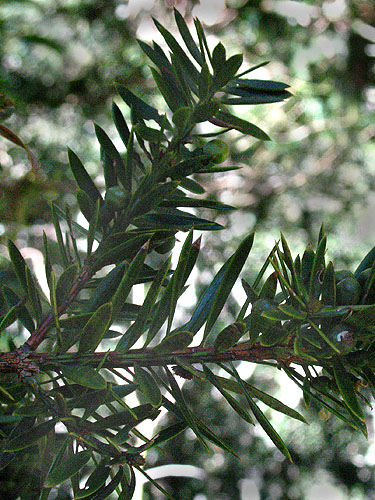 The plant is evergreen, relatively short with a bushy shape, and has brightly colored flowers during the winter. Like other calcifuges known for their flowers, it prefers acidic soils. This is the state flower of Alabama. 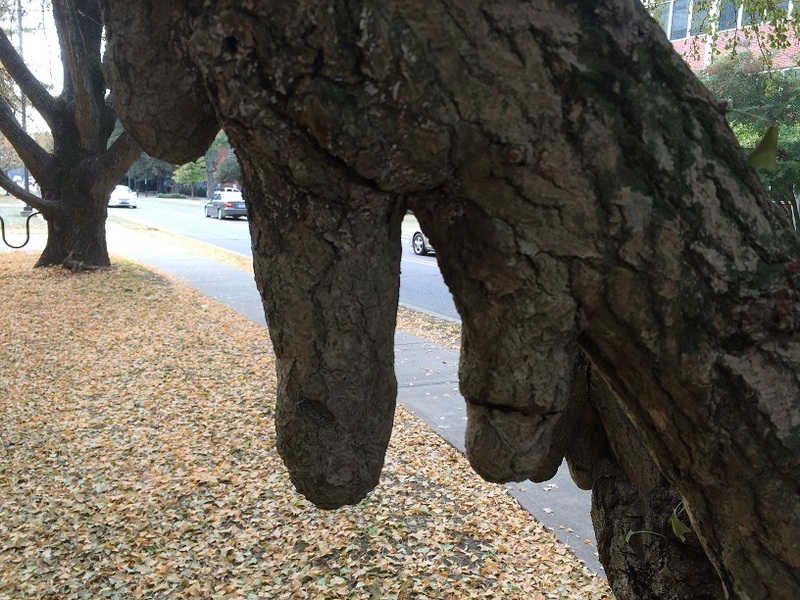 Do you know what tree this is? 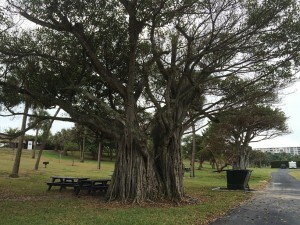 This tree can be found in the tropical climate of south Florida. It is known for aerial prop roots that grow into thick woody trunks. In some species, the props can develop into a forest with every trunk connected directly or indirectly to the central trunk. This natural characteristic inspired computer design theory known as Banyan VINES. As well, the tree is dependent on a symbiotic relationship with a wasp for pollination. Leaves are large, leathery, glossy green that are a bright red when young. This stately, beautiful tree contributes a unique sense of place in Florida parks and communities. This tree is widely planted in U.S. cities due to its hardiness and fall foliage, but is native to China. It can reach a height of over 50 ft. and is a living fossil with some specimens more than 2,500 years old. It is extremely resistant to disease and insects. This tree is dioecious and fertilization occurs similar to ferns, mosses, and algae. The tree has been used for medicinal purposes, particularly as a dietary supplement to enhance cognitive functions, to treat Alzheimer’s disease, and to treat high blood pressure. What is this tree?